The Mactan Cebu-International Airport Authority (MCIAA) today signed a Memorandum of Agreement with the University of the Philippines Manila and UP Manila Development Foundation Inc. (UPMDFI) in a formal ceremony at the Waterfront Hotel in Lahug for an anti-worm drive in selected Lapu-Lapu City barangays. The “War on Worms” corporate social responsibility project is part of the MCIAA’s 25th Charter Day anniversary and will involve technical assistance for school-based and day care center-based for Helminth control among pre-school age children in 5 yet to be identified selected barangays in Lapu-Lapu City. “As we celebrate our 25th year, MCIAA continues to contribute to both local and national development through private and public service projects, of which the War on Worms is only the latest,” said MCIAA General Manager Nigel Paul Villarete. The project shall involve advocacy, capacity-building, social mobilization/health promotion and education, mass drug administration, and monitoring and evaluation as well as support for the conduct of National School Deworming Day among public elementary schools come January 2016. “We continue to make MCIAA an institution that inspires, sustains, and optimizes in order to give the best service not only to the riding public but also the rest of the community,” said Villarete. 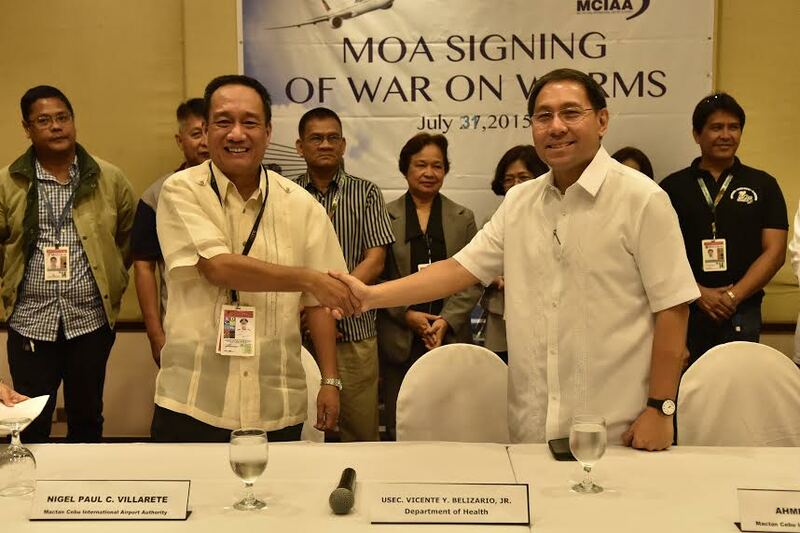 Villarete signed the agreement in behalf of MCIAA. Signing with him were Dr. Carmencita Padilla, University of the Philippines Manila chancellor, and Dr. Nymia Pimentel- Simbulan, of the UP Manila Development Foundation Inc.
Duly recognized research personnel from the UP Manila College of Public Health Department of Parasitology will be implementing the “War on Worms” project. For its part, the MCIAA shall disburse funds amounting to one million and sixty thousand pesos through the UPMDFI for the one-year operation of the project. The MCIAA shall moreover give support for the production and distribution of health promotion materials, venue and food for orientations and workshops, and technical assistance relevant to the achievement of the PROJECT objectives. The Airport Authority has launched a week-long series of activities starting last July 24 to commemorate its 25th Charter Day Anniversary. This will culminate this July 31 with the actual Charter Day Celebration and Awarding Ceremony at the Ayala Terraces in Cebu City. The MCIAA, a Government-Owned and Controlled Corporation (GOCC) under the Department of Transportation and Communications (DOTC), has been managing the operations of the Mactan-Cebu International Airport for the past 25 years. The Mactan-Cebu International Airport is the first and only airport in the Philippines to be issued an Aerodrome Certificate by the Civil Aviation Authority of the Philippines, making it one of the safest amidst being the second busiest airport in the country. It is also currently undergoing the process of securing a triple ISO accreditation for the improvement of the airport’s management systems and operations as well as compliance with regulatory requirements to ensure the satisfaction of the flying public. Built between 1960 and 1970, the Mactan-Cebu Airport does not only carry out air travel but also cargo and general aviation operations. A new international terminal, called T2, is presently under construction and is set to be completed after three years by 2018. Studies are likewise currently underway for the construction of a second runway to service present and future needs. G-Xchange, Inc., a wholly-owned subsidiary of Globe Telecom, has entered into a partnership agreement with four key technology retail companies in the country to expand the distribution network of Globe Charge mobile point-of-sale (POS) solution. Under the arrangement, Globe Charge will be carried by over 250 partner outlets located in different parts of the Philippines namely: AllPhones - 41 branches, MemoXpress - 138 branches, PC Express - 38 branches, and Silicon Valley - 37 branches. “We are very pleased to collaborate with the country’s leading distributors of computer hardware and accessories, mobile phones, and gadgets which play a vital role in bringing Globe Charge closer to its customers. Through this partnership , small-and-medium sized enterprises will have more avenues to purchase Globe Charge credit card reader off-the-shelf and be able to use it immediately to accept more customers and generate more sales for their business,” said Xavier Marzan, President & CEO of GXI. Globe Charge is a revolutionary service that enables entrepreneurs, small business owners, and professionals to accept credit card payments without the need for traditional credit card terminals. It allows businesses and professionals to accept MasterCard and Visa card payments, thus providing more payment options to customers, and resulting to more sales. In order to use Globe Charge, a merchant only needs to have the following: Android or iOS device, Globe or TM SIM card with GCash account, Globe Charge Mobile Card Reader, and Globe Charge mobile app downloadable from Google Play or the App Store. It also works easily and conveniently with Wifi or mobile data, with no data charges for Globe and TM SIMs. Aside from the retail outlets, Globe Charge can also be bought from Globe Stores and via the Globe Charge website www.globecharge.com.ph. Globe Telecom, through its digital brand for the youth Globe Prepaid, is set to host the country’s first Clash of Clans tournament starting on July 25 with over P2 million worth of prizes at stake. As the purveyor of the Filipino digital lifestyle, Globe is conquering the mobile games arena with its GoSURF consumable data plan, which gives customers free access to top mobile games such as Clash of Clans. Together with Clash of Clans (CoC) Philippines, the biggest Clash of Clans community in the Philippines with over 65,000 members, Globe is calling on all Clashers to join the first-ever nationwide #NextLevelKa Clash of Clans tournament. Clashers are expected to bring out their best strategies in a series of two-day competitions that will be held in Manila, Laguna, La Union, Cebu and Davao. Globe worked closely with CoC Philippines to put up the tournament including its rules and regulations. “The gaming community in the country is growing and it just shows how mobile gaming is gaining ground. We are excited to partner with CoC Philippines to bring the #NextLevelKa Clash of Clans tournament to CoC players and communities nationwide. True to its name, this will be a next-level gaming event where participants can meet and share a common interest. Globe is excited to mount these types of events because it gives us the opportunity to support the passions of our customers, specifically the youth, which includes gaming. Not only do we strive to offer them offers that suit their digital lifestyle, but also experiences and events that harness their passions and interests," shares Dan Horan, Senior Advisor for Consumer Business at Globe. Globe is set to giveaway over P2 million worth of cash prizes, gadgets and gems to the tournament’s finalists and winners. To qualify, interested players must be a Globe customer registered to GoSURF50 which gives users 300MB of data for mobile browsing and an additional 400MB of data to access top mobile games such as Clash of Clans, Spotify, and Facebook for only P50 valid for 3 days. Players should have a mobile device with internet connectivity and the Clash of Clans mobile game app and must be at least at Town Hall 3 and above to compete for the individual category or Town Hall 7 and above for the clan category. Troop level per Town Hall will not be considered. To register, players may just visit the Globe Prepaid booth located at the tournament venue. Catch the #NextLevelKa Clash of Clash tournament presented by Globe Telecom and CoC Philippines on July 25-26 at Abreeza Mall, Davao; July 26-27 at TriNoma Mall, Quezon City; August 1-2 at CSI Mall La Union and on August 28-29 at Ayala Center, Cebu. Globe Telecom customers are once again getting first dibs to see Marvel’s Ant-Man, one of Disney’s most-awaited movie releases this year, on the back of the telco’s comprehensive, and multi-year collaboration with The Walt Disney Company Southeast Asia. 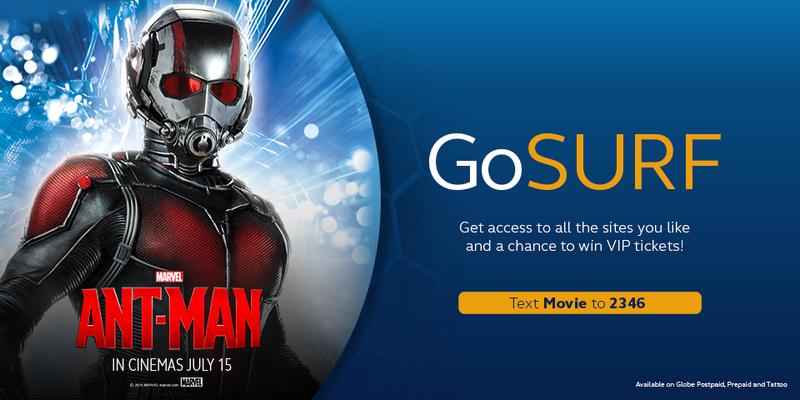 Customers who registered to GoSURF earned raffle entries for a chance to win free movie tickets to the special block screenings of Ant-Man in partner-cinemas nationwide starting July 17. One of the newest movies to hit the silver screen, Ant-Man is an action-packed and star-studded film, with Hollywood mainstays Paul Rudd and Michael Douglas taking front and center as the current and former Ant-Man. Scott Lang (Rudd), former con-man and heist-master, inherits a super-suit that grants him the ability to shrink in size but increase in strength from mentor Hank Pym (Douglas), the original owner of the Ant-Man suit. As Ant-Man, Lang is given the mission to pull off a larger-than-life heist that will, ultimately, save the world. “Our partnership with Disney and Marvel continues as we give our GoSURF customers the exclusive chance to watch Ant-Man ahead of others. This is just one of the many ways that Globe chooses to flavor up our customers’ experiences and to continuously enrich the Filipino digital lifestyle,” shares Jil Go, Globe Vice President for Content. The Globe Big Screen Raffle promo was open to all Globe mobile, Tattoo, and TM customers who have availed of any GoSURF subscription. Customers automatically earned raffle entries corresponding to the amount of the GoSURF plan availed. For example, customers who purchased GoSURF10 earned the equivalent of 10 raffle entries for the promo. Chosen last July 6, 2015, winners received two (2) tickets each to be the first to meet the world’s smallest superhero and have the Ant-Man experience during the exclusive premiere screening on July 17-18 and July 25-26. The exclusive showing of Ant-Man is one of the many promotional activities that customers can expect from the telco’s partnership with The Walt Disney Company Southeast Asia. Globe customers can look forward to more promotions, merchandising, and retail activities that will exclusively bring Disney’s latest theatrical releases closer to them. Over 200,000 AirAsia BIG Points are up for grabs! MANILA, 16 July 2015 – Two office workers, a car salesman and a barista are stepping out of their comfort zones and into the challenges of becoming the first AirAsia Travel Photographer for 2015. The #IamAirAsiaTravelPhotographer contest is jointly organized by AirAsia and ThinkDharma Inc. (exclusive distributor of Nikon Digital Cameras) in partnership with AirAsia’s global loyalty programme, BIG which will award winners with over 200,000 BIG Points or its equivalent free flights to any of AirAsia Group’s 100 destinations. Assisted by multi-awarded photographers from the Philippines and Malaysia as their personal coach, four pre-selected contestants, namely Velvet Lagman-Macasaet, an executive assistant and marathon runner; Sarah Garcia, hotel front desk officer; TJ Nepomuceno III, car salesman; and Paul Delfin, an indie music fan and barista, will be traveling across Asia for one week starting July 21. Online voting via www.airasiatravelphotographer.com will be opened to the public in August 20 with Nikon cameras and BIG Points to be given away to lucky voters. Grand winner will be announced in September 11. (3rd from L-R) AirAsia Photojournalist Adam Lee, contender Velvet Lagman-Macasaet, contender Sarah Garcia, Nikon pro and master photographer George Tapan, Business Unit head of ThinkDharma Paolo Salazar, AirAsia Philippines Chairperson Maan Hontiveros, Startegic Partnership Head of AirAsia BIG Jenny Au, Senior Marketing Manager of AirAsia BIG Caroline Wong, Nikon pro and photographer Raymond Cruz, contenders TJ Nepomuceno III and Paul Delfin with AirAsia cabin crew in their iconic red uniform at the recent launching of #IamAirAsiaTravelerPhotographer contest in Taguig, Manila. Four multi-awarded photographers and respected leaders in the industry will be part of the AirAsia Travel Photographer contest as mentors of the four contestants. Nikon Pros George Tapan, Raymond Cruz, Parc Cruz and AirAsia’s resident photojournalist Adam Lee will be traveling around exotic places in Hong Kong, Indonesia, Malaysia and Thailand to help contestants capture their best entries across a range of categories that include landscape, food, portrait, architecture and travel. Keep updated with AirAsia Travel Photography contest by using #IamAirAsiaTravelPhotographer and get the latest updates via Twiiter (twitter.com/AirAsiaPh) or Facebook (facebook.com/AirAsiaPhilippines). Part of its commitment in enabling the Filipino digital lifestyle, postpaid leader Globe Telecom is offering a special edition of its revolutionary myLifestyle Plan for a limited time only in line with the staging of Slipstream 2.0 at the Bonifacio Global City, an event celebrating the journey of Marlon Stockinger as the first and only Filipino to make his way into the competitive world of Formula One racing. Beginning June 25, 2015, customers who will avail of Plan 999 and up will automatically get 3 months of free access to the latest music hits through Spotify and best movie and TV titles via online entertainment service HOOQ. Plan 999 originally offers access to either Spotify or HOOQ only. The offer comes on the heels of the telco’s commitment to provide customers a complete digital experience with access to a vast portfolio of entertainment content services such as music streaming and movies. “We are happy to take the Slipstream 2.0-mania to the next level with our exclusive myLifestyle Plan offer available for a very limited time only. With the Slipstream 2.0-exclusive myLifestyle Plan, customers get full access to HOOQ and Spotify for 3 months for uninterrupted access to millions of songs and thousands of international and local movies and TV shows alongside their favorite devices,” says Erli Valdez, Vice President for Postpaid Business at Globe. Globe Postpaid will also have its own booth at Slipstream 2.0, bringing to life Marlon’s highly-connected and fast-paced lifestyle. Located at the Bonifacio High Street, the experiential booth will allow the public to learn about the myLifestyle plans through various interactive activities. Guests can get to have their photos taken with the very first Go-Kart that Marlon Stockinger used to race in. “Build your own myLifestyle Plan” games using Mega Bloks Hot Wheels will also pique on guests’ creativity as they vie for the exclusive freebies and prizes up for grabs. Globe customers first to experience Huawei P8, P8 Lite and Talkband B2 with the limited edition myLifestyle Plan Combined with the limited-edition myLifestyle postpaid plans are the best smartphones and devices from Huawei that customers can fully enjoy. With its strong partnership with Huawei, Globe is offering its postpaid customers first dibs to the latest Huawei P8, P8 Lite and the TalkBand B2 to give users an enriched mobile experience with its revolutionary aesthetics and features. In keeping with the breakthrough style and functionality of the P series, the Huawei P8 boasts of its minimalist design that comes in silver, gold, black and gray. It is only 6.4 mm thin and has a dual SIM card feature that works seamlessly with a 4G network. It also runs on the new Kirin 930 64-bit Octa-Core chipset that boosts performance. The P8 Lite, on the other hand, is the mid-range version that also features a dual SIM card support, a 32GB microSD card slot and an octa-core Hi-silicon Kirin 620 CPU 8 at 1.2GHz. It also sports a 5-inch gorilla glass screen with a 1280 x 720 HD display, 5MP front and 13MP back cameras. It is equipped with 2GB of RAM, Android 5.0 Lollipop and a 2200mAh battery capacity. Huawei also introduces its newest wearable device TalkBand B2, which has a more professional design which showcases smarter fitness tracking functionalities and enhanced synchronization with mobile devices. It is not only a convenient health management device, but also a perfect combination of a Bluetooth headset and sports bracelet. The Huawei P8 is available for free at Plan 1999 with unlimited calls and texts to Globe and TM, 5GB of data for mobile internet, Photo Pack for access to Instagram, InstaSize, PhotoGrid, PhotoRepost, all-month access to Facebook, freebies such as Navigation Pack, Explore Pack or Fitness Pack for 1 month, Gadget Care coverage for 1 month, 1 GB Globe Cloud Storage for 24 months, and exclusive free 3 months Spotify Premium and free 3 months of HOOQ access. Meanwhile, the Huawei P8 Lite with the TalkBand B2 is available for free at Plan 1499 with unlimited calls and texts to Globe and TM, 3GB of data for mobile internet, Chat Pack for access to Facebook Messenger, Kakao, Line, Viber, WeChat, WhatsApp, all-month access to Facebook, freebies such as Navigation Pack, Explore Pack or Fitness Pack for 1 month, Gadget Care coverage for 1 month, 1 GB Globe Cloud Storage for 24 months, and exclusive free 3 months Spotify Premium and free 3 months of HOOQ access. During Slipstream 2.0, booth visitors can also join the raffle for a chance to win a new Huawei P8 Lite and a TalkBand. Globe customers are also entitled to get exclusive discounts in Jamba Juice and Figaro at Bonifacio High Street, while the first 30 Globe Postpaid Blue customers can watch the event from a private viewing section along the race track. Eligible Globe Blue customers will receive an SMS invitation they can present to enter the exclusive section. To know more about Globe Slipstream 2.0 and Marlon’s scheduled exhibition runs, visit www.globe.com.ph/slipstream or follow @enjoyGLOBE on Twitter and Instagram. The country’s no. 1 mobile brand and purveyor of the Filipino digital lifestyle Globe Telecom continues to enrich the customer experience as it now offers its GoSURF consumable data plan with free access to Facebook, allowing its mobile customers to access the social networking site without data charges. Globe is the only telco in the country to offer free access to Facebook with a complete browsing experience by registering to any GoSURF data plan. 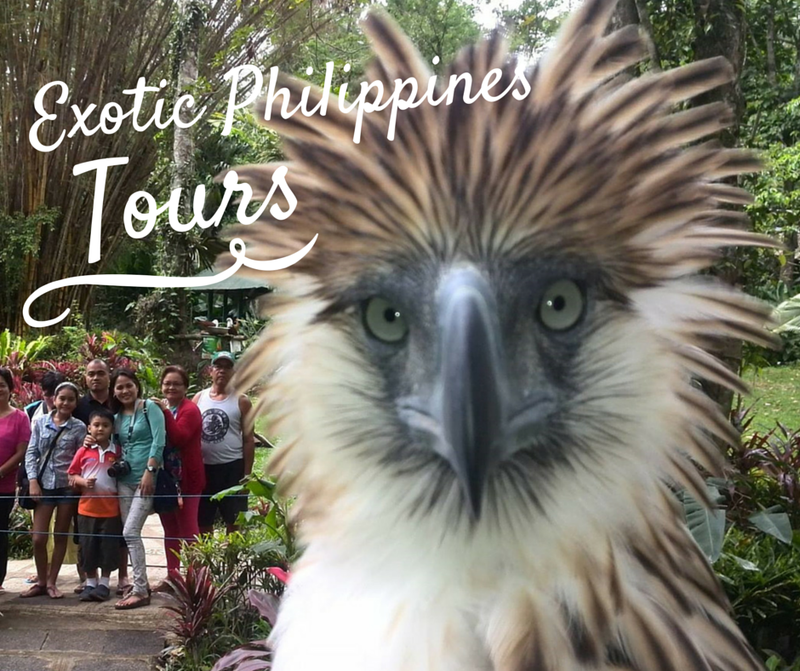 The full experience includes viewing of photos, streaming of videos uploaded on Facebook, as well as posting, liking, sharing and making comments on the social networking site. Access to the Messenger app, excluding calls, is also free. Globe was first to launch a partnership with Facebook in November 2013, allowing its customers to have free access to the social networking site using the Globe data network. The company shared its technological capabilities and modernized network infrastructure to drive the ambitious commercial offer, which was aimed at increasing mobile browsing adoption in the country. Globe Telecom has maintained its dominance in mobile data business in the first quarter of the year after posting mobile data revenues of P4.4 billion, double the combined revenues of its competitors at P2.2 billion. As of March 2015, Globe mobile data revenues significantly grew by 58% from previous year’s P2.8 billion and by 8% from previous quarter’s P4.1 billion. Manila, Philippines – Bosch, a leading global supplier of technology and services, closed its 2014 fiscal year with USD 42.5 million (32 million euros)* in consolidated sales in the Philippines. Compared to the year before, the company achieved a double-digit growth of more than 45 percent, making the Philippines the fastest growing market for Bosch in Southeast Asia. The strong growth is based on the successful performance of the company’s power tools and automotive businesses, along with significant contributions from its security systems business which formally established local operations in 2014. As of April 2015, Bosch had increased its workforce in the Philippines to nearly 400 associates. turned over in early July. Furthermore, Bosch will be working closely with the schools to develop learning modules suitable for K-12 applications in the coming months. 2014 also saw the completion of Bosch’s Paint The Town Red project, through which Bosch constructed basketball courts for underserved barangays nationwide, turning over the 56th court in Yolanda-stricken Tacloban City. The Bosch Group expects global sales to grow within an exchange rate-adjusted range of 3 to 5 percent in 2015. Speaking at the company’s recent annual press conference in Germany, the Bosch CEO Volkmar Denner said: “Our economic and technological strength in established business fields is enabling us to tap into new market segments.” Web-enabled products and internet-based services are one of the focal points of the company’s future business. “We are driving connectivity forward in all our business sectors and playing an active role in shaping it,” Denner added. In 2014, Bosch launched many new products and connected solutions, including software solutions for smart heating systems and buildings as well as for connected industry and connected mobility. With the complete acquisitions of BSH Hausgeräte GmbH and Robert Bosch Automotive Steering GmbH, Bosch has strengthened its position in the fields of smart homes and automated driving. In Asia Pacific, Bosch grew its sales 17 percent (19 percent after adjusting for exchange-rate effects) in 2014, to USD 14.3 billion (13 billion euros). At just under 27 percent of total sales revenue, the region’s share of sales reached a new high. Sales growth was especially strong in China, rising a nominal 27 percent to USD 7 billion (6.4 billion euros). The company achieved a year on year sales growth of around seven percent in Southeast Asia by generating USD 893 million (672 million). Manila, Philippines (June 23, 2015)—The country’s leading mobile brand Globe Telecom brings the Formula One rush to the Philippines once again as it presents Slipstream 2.0, an event celebrating the journey of Marlon Stockinger as the first and only Filipino to make his way into the competitive world of Formula One racing. Slipstream 2.0 opens the world of the Prince of Speed, Marlon Stockinger, to Filipinos, and how he lives his life in the fast lane. 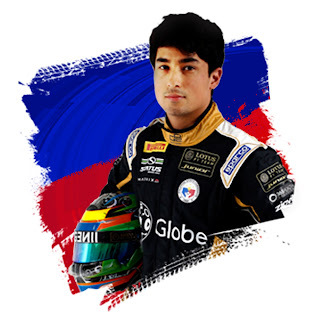 “This sport may not be as common as boxing and basketball in the country, but with Slipstream 2.0, we can bring Marlon’s journey and the F1 experience closer to the Filipinos,”said Dan Horan, Senior Advisor for Consumer Business. “This year, Slipstream evolves into a family entertainment event. People will not only witness Marlon’s driving skills but there are many activities to enjoy. We want this event to be an unforgettable digital lifestyle experience for the families attending by giving them wonderful moments that they can share,” Horan said. A set of podcast sessions will also be released starting June 26 where Marlon will talk about his passion for racing, how he keeps in touch with his family, friends, and fans even if he’s always on the go.. A by-invitation dinner with Globe executives, ambassadors, partners and media friends will follow at 7PM at Le Jardin, before the final day on the 27th. For more information on Slipstream 2.0, visit www.globe.com.ph/slipstream. NINETY-THREE scholars of the Young Minds Academy (YMA) Season 9 of the Ramon Aboitiz Foundation Inc - Eduardo Aboitiz Developmental Studies Center (RAFI-EADSC) presented their social research reports during the Young Citizens Forum 2015 last 27 June 2015 at the Eduardo Aboitiz Plenary Hall. The YMA scholars were divided into 11 teams and were assigned in 11 selected barangays in Metro Cebu during the YMA community immersion last June 6, 7, and 12. Barangays Tisa, Cebu City; Lawaan I, Talisay City; Ward I, Minglanilla; Mainit, Naga City; Perrilos, Carcar City; Basak, Lapu-lapu City; Buagsong, Cordova; Cambaro, Mandaue City; Pitogo, Consolacion; Jubay, Liloan; and Suba, Danao City were the barangay partners during the said immersion. 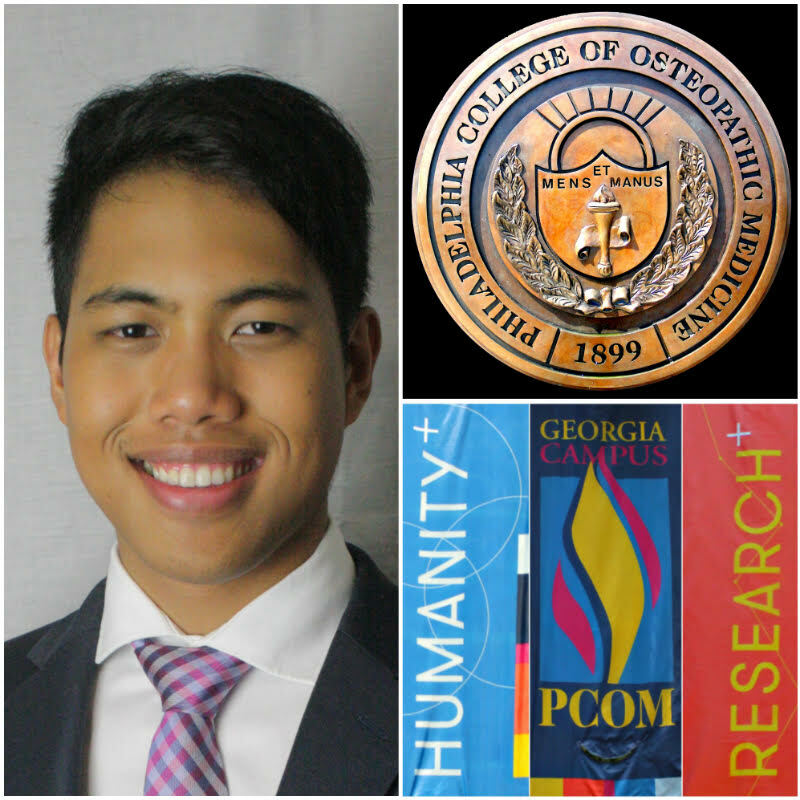 Scholars were challenged to know the community, its people, its leaders, its history, its culture, and many more. The scholars were also asked to get information from the residents on the community’s assets, needs, opportunities, and threats and analyze the pressing concerns of the barangays and come up with innovative but doable solutions the youth can do for the barangay. Before the YMA community immersion, the scholars underwent different capability building sessions on leadership and citizenship, self-awareness, team building, personality and communications development, urban development forums, learning visits to the different LGUs, community research and asset based community development. These modules aim to equip them during the project development phase. TOKEN OF GRATITUDE. 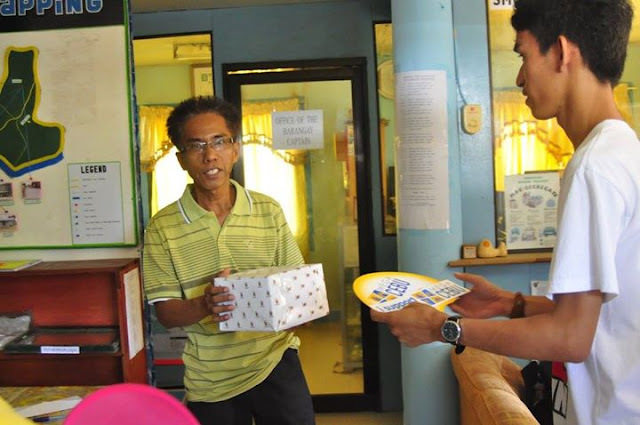 John Nicko M. Coyoca (Gen A Team 2) handed to the Barangay Captain of Buagsong Cordova the team’s token of appreciation. “The Young Citizens Forum is a venue for our scholars to share their learnings and insights during the YMA Immersion. Also, it is a great venue for them to hone their presentation skills in sharing their innovative ideas to help the community in simple, creative, ways that people would understand.” said Jenny Lea Tan, RAFI-EADSC program officer. After the Young Citizens Forum, the scholars will go through the Project Development phase where they will improve their project concepts, write project proposals, and implement their Disaster Preparedness and Humanitarian Response projects. The Young Minds Academy is one of the programs of RAFI-EADSC under the Leadership & Citizenship Focus Area, which aims to build future leaders and influencers in a community that is ready to effect change. For more information about YMA, you may contact Jenny Lea Tan at 418-7234 local 112 or e-mail at jenny.lea.tan@rafi.org.ph, or visit www.rafi.org.ph or www.facebook.com/rafi.org.ph.